From time to time we have surplus secondhand books available for sale. Currently available titles are given below. Prices do not include post and packing and all enquiries should be directed to our publication sales. 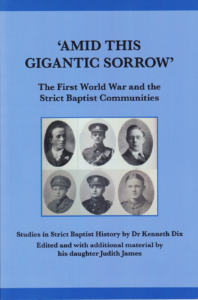 How did churches react to the First World War, and how did the war affect them? Why did the Pastor of a Strict Baptist church get sent to Dartmoor Prison? How did soldiers from a strict religious background cope with the war? In 1914 there were about 600 Strict Baptist churches. 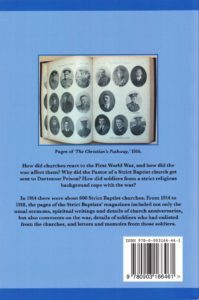 From 1914 to 1918, the pages of the Strict Baptists’ magazines included not only the usual sermons, spiritual writings and details of church anniversaries, but also comments on the war, details of soldiers who had enlisted from the churches, and letters and memoirs from those soldiers. With a foreword by John Briggs, Emeritus Professor, University of Birmingham, Past President of the Baptist Historical Society.